We've been having some great spring weather the past couple of weeks and this has put me in the mood for those bright, cheery spring colors. Winter has skipped us completely this year and yesterday temperatures rose to a lovely (but a little windy) 20 degrees Celsius. So out came my neons! 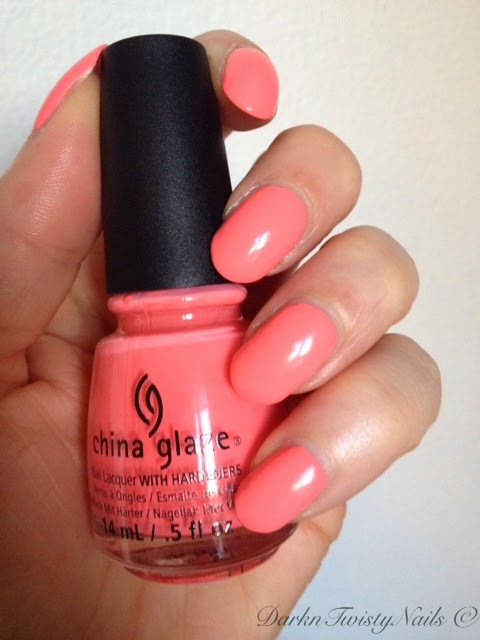 China Glaze Petal to the Metal is a dusty pink coral pastel neon. I know that doesn't make any sense, but that's the best way to describe this polish. In the bottle it looks like just a dusty pink cream and I didn't find it really interesting, I was even a little disappointed when it arrived. I didn't feel like putting this on my nails at all, but I gave a friend of mine a choice and included this polish. Of course she picked the one I didn't actually wanted on my nails, but I gave her a choice, so on my nails it went. My first reaction was WOW! It's so much brighter on the nail than it looked in the bottle, this is not a boring dusty pink, it's a dusty pink neon! I love it! The formula... well.... it's kinda crap, but manageable. A little streaky, a little patchy, but opaque in 2 - 3 thin coats and it dries extremely fast. Because it is a neon, it dries a little matte, but nothing a shiny top coat can't fix and the end product is more than stunning! It reminded me a little of that cult favorite Flip Flop Fantasy, but this is a bit more pink and a bit more pastel. I like this better to be honest. I just can't get over how much I love every polish of the City Flourish collection this polish is part of. 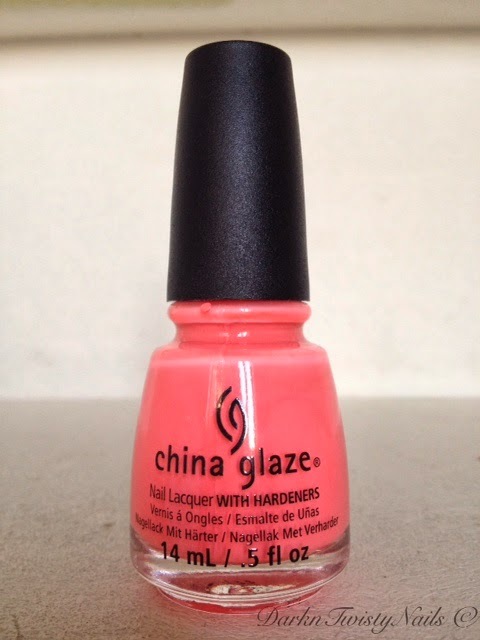 When I saw the first promotion pictutes, I was afraid China Glaze was giving us yet another pastel collection, but nothing could be further from the truth! They gave us pastel neons! Each and every one is totally unique and I love them all! Have you tried any of the City Flourish polishes and which one is your favorite? Wow! That's amazing and it looks GREAT on you! That is such a great polish on you Anca...beautiful!